In Part 6 of his memoirs, Macworld founder David Bunnell recalls the magazine’s first cover shoot featuring Steve Jobs, who has a sudden, unexpected change of heart. “Take a picture of this,” Steve said, holding up his middle finger. We stared in disbelief. 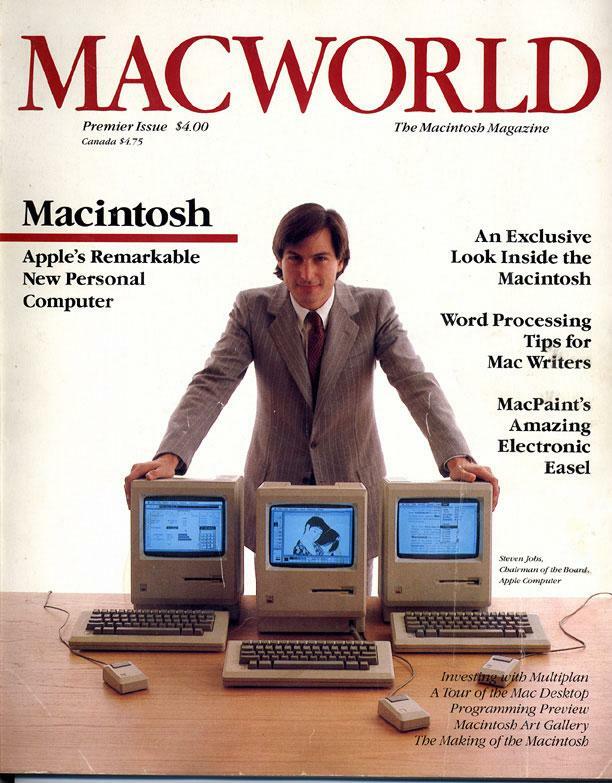 In mid-December I called Steve to ask him to pose for the cover of Macworld. He agreed but only if we hired a “really great” photographer and even then he could only give us a few moments of his precious time. I tried reaching Annie Liebovitz, but besides being ridiculously expensive she was booked up. So, with Andrew’s help I found a fantastic young photographer, Will Mosgrove, who lived in nearby Marin. He was thrilled and right away agreed to do the shot. When the appointed time came, Will carefully set up in a conference room at Apple. There were three Macs on a tabletop, each displayed a different screen image. As envisioned, Steve would stand behind the table, his hands outstretched, leaning on the two outside machines. Andrew served as the stand-in to take Steve’s position until the lighting and all the other elements were just right. Steve was called in only when everything was perfect. All we needed was to have him stand in position for 10 minutes and then he could go, just as he had requested. Of course, with Steve Jobs, you have to anticipate the unexpected. Steve walked in dressed in a beautiful pinstriped, double-breasted suit with a white shirt and red tie. Right away, there was a problem–Steve didn’t like the images we had chosen for the Mac screens. Will just looked at him and shrugged. “Take a picture of this,” Steve said, holding up his middle finger. We stared in disbelief. Someone must have keyed his Mercedes again, I remember thinking. In reality, a few pages were at the printer, but not the cover, and we could have changed it if we really wanted to, which, of course, we didn’t. And as you can see for yourself, it was just right for the time.